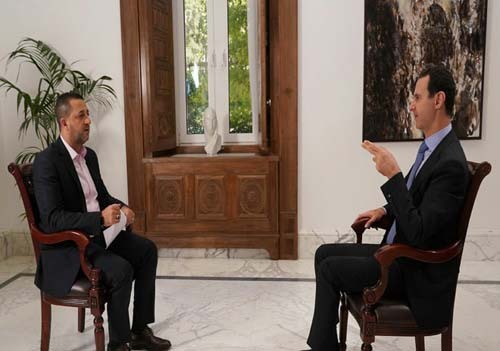 syriatimes.sy - President Assad's Al-Alam TV Interview, June 13, 2018. 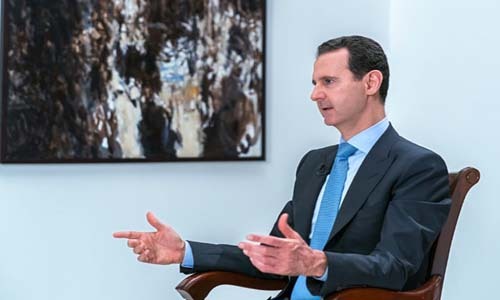 President Assad: If we talk first about the Syrian-Iranian part, for 40 years, and in the different conditions that the Middle East region has gone through, this alliance remained solid. So, there is no reason to say that it is temporary or otherwise. The new element in the war on Syria is the Russianelement, and that’s why this tripartite alliance came into existence. Our relationship with Russia is now about seven decades old. Despite the fluctuations and the fall of the Soviet Union, the rule of President Yeltsin, and the deterioration of these relations to a large degree for us, it has never reached the stage of reversing this relationship with Syria. Russia continued to deal with Syria as a friendly state, and we have imported everything from Russia, including weapons, during the different stages of the sanctions imposed on Syria. It is not in the nature of the Russians to build temporary or self-serving alliances or to sell out on relations in order to get deals done. The relationship is definitely a strategic one, but the political statements allowed for these speculations. President Assad:Of course. This is dictated by reality, interest, and international changes that make it necessary for this alliance to be consolidated. 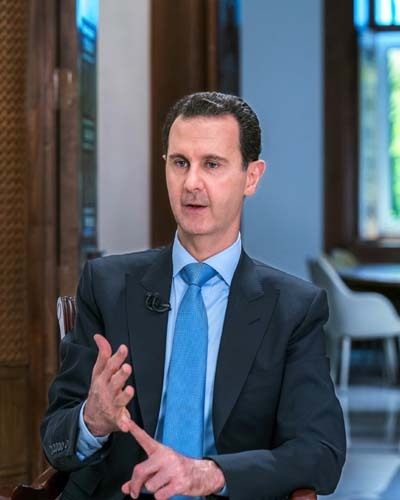 As long as the other axis supports terrorism, and as long as we, together with Iran and Russia, feel the danger of terrorism, not only in Syria, but also on all these countries and on the whole world, and as long as Syria, Iran, and Russia realize the importance of abiding by international law, these facts make the existence of this alliance necessary.